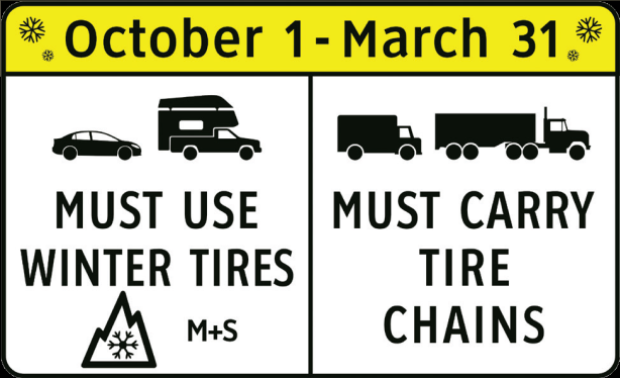 The road to Mt Seymour is designated as a "Winter Tire & Chain Up Route" and requires that vehicles driving on Mount Seymour Road use Winter OR M+S tires in good condition or carry chains between October 1 – March 31. If you are planning to drive to Mt Seymour please know that Mt Seymour staff are not permitted to offer opinions on road conditions as too many varying factors can apply, such as sudden changes in weather from the time of you inquiry to the time of your trip, your experience driving in winter conditions and the condition of your vehicle and/or tires. The road to Mt Seymour is designated as a Winter Tire & Chain Up Route where extreme weather conditions can occur at ANY time. The road is plowed and sanded but the province of BC requires that all vehicles driving on Mount Seymour Road use Winter or M+S tires in good condition between October 1 and March 31. For your safety and the safety of others using Mount Seymour Road, if your vehicle does not have appropriate tires, Mt Seymour Traffic & Ground Attendants reserve the right to turn you around on the road regardless of the type of vehicle you drive or whether or not you have an activity scheduled. 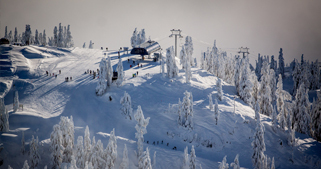 If you do not have appropriate winter equipment for your vehicle we strongly suggest that you use the Mt Seymour Shuttle Bus.